Use our availability calendars to show your guests when you can accommodate them. 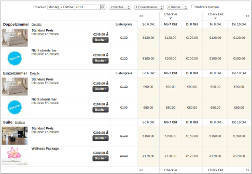 Availability calendars can be displayed on your own web site or blog. You may use them on as many other sites as you wish. The Facebook app lets you integrate your availability calendar directly into your Facebook page. To show your availability on your website you can display a small availability calendar as shown on the right or lager format as shown at the bottom of the page. All availability calendars are fully customisable to integrate seamlessly into any website. 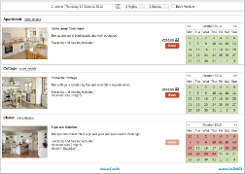 You can also use any of our booking widgets to connect to your availability calendar.